Mike provides banking, investment, and wealth management solutions to high-net-worth private clients, trust and corporations within TD Wealth. He guides clients through a broad range of individually structured wealth management solutions that encompass all lifestyle needs. 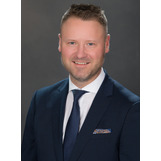 Mike has over 15 years' experience in the financial services industry and has been with TD Bank since 2000. Mike is passionate about community initiatives and charity, and is involved in coaching minor hockey, lacrosse, and baseball. He is a graduate from Brock University, and is a Fellow of the Canadian Securities Institute (FCSI).